Calculate the future value of bonds to give yourself a better idea of your financial situation..
2. How do I Find Out the Value of a U.S. Savings Bond? 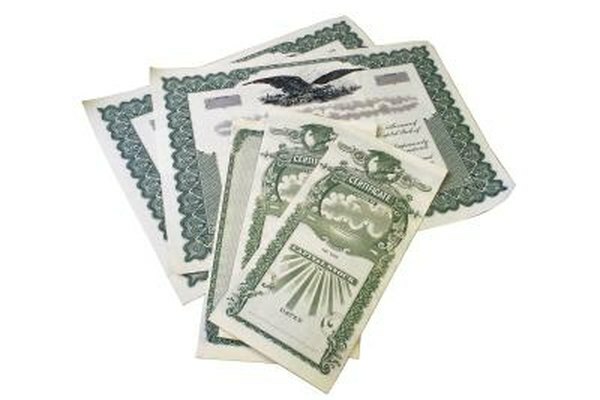 Savings bonds are issued by the U.S. Treasury Department and are a dependable method to save money for the future. Because the government backs a savings bond, financial markets do not affect a bond's value. Savings bonds are free from state and local taxes, and you can defer federal taxes on the earnings until you redeem the bond or it reaches maturity. If you are saving for your child’s future or investing in your own, it is important to know the future value of your savings bond. Visit the Savings Bond Calculator located on the Treasury Direct website. Visit the Savings Bond Calculator located on the Treasury Direct website. Enter a future month and year in the “Value as of” field. Click “Update” to apply the change. Select the bond type and denomination from the drop-down lists. Enter the bond’s serial number and issue date in the fields provided. If you do not have the bond on hand, you can leave the serial number blank. The calculator will give you an estimated future value based on the issue date, bond type and denomination. Click the “Calculate” button. The future value of the U.S. savings bond will display in the “Value” column of the table that appears on your screen. Savings Bonds: What Is a U.S. Savings Bond?